Boulder City NV Luxury Bank Owned R.E.O. Boulder City NV bank owned foreclosure Luxury Home For Sale. offers diverse luxury living at its best! Luxury Real Estate for sale offers, 1 story with basement, 6000+ sqft, 5bed 5bath, .47 of an acre large lot, Elevated lot with breath taking views of Lake Mead and surrounding mountains. Secured courtyard, custom iron doors, butlers pantry, master bedroom with spectacular views, all bed rooms with there own private baths. Excellent lot offering endless views, Infinity edge pool, swim up bar, fire pit, waterfall. Luxury r.e.o homes of this nature don’t come along this often. 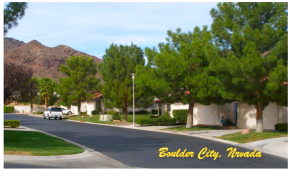 Property offered at $1.5 M.
Contact me for a viewing of such Boulder City Luxury Homes inventory. Listing courtesy by Bret Runion, Desert Sun Realty. Las Vegas NV homes with elevators! Ranch, Southern Highlands and even Mt. Charleston!! Customize your MLS search, buy a home with a private elevator!! An incredible Lake Mead view from every essential room in this house inc. all 3 ensuites! Perched high above the other homes & adjacent to Mtns, this is a an amazing house on an amazing .91 of an acre lot! Sep RV garage! Huge greatroom with informal and formal dining. Gourmet kitchen; granite, stainless apps, cooking island. Sauna in one master bath, fireplace in another. Up bed has balcony & views! two story, 3bed, 4bath 3900+sqft Best deal on the hill! r.e.o bank owned offered at $659,900 be sure to contact me for all Boulder City Nevada Dream Estates. Foreclosure deal sales with Lake Meade Lake Views! (SRS) – Seller Representative Specialist.